The future of Krypton is doomed, but what is the future of this show? 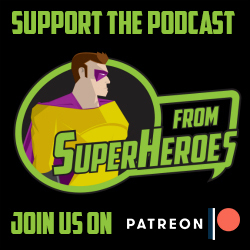 This week we're talking about Krypton episodes 1-3. We break down the constant monologues, Krypton's destruction, bridging old Superman with new, and how everything looks so damn good. Special thanks to our friends over at AnthroDesk for sending us their single motor standing desk. AnthroDesk makes incredible standing desks that looks amazing, are fully customizable, and easy to assemble. Stand for productivity, stand for your health, stand with AnthroDesk. Visit www.AnthroDesk.com (or www.AnthroDesk.ca if you're in Canada) and get your own today.